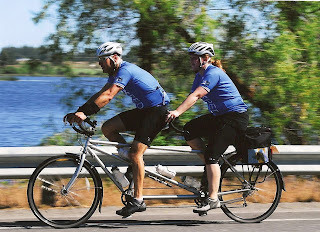 Once again this year, Team Exped showed up ready to ride at the NW Tandem Rally. This year the weekend of riding was based in Spokane, Washington. Dave and super-stoker Ellie soaked up a lot of sunshine and racked up some big mileage over the two days of the rally. And yes, they are wearing the extremely rare Exped bike jerseys. Nice.